Yes, the fear of rejection is a scary feeling and it is a primary cause of the end of many sales careers. There are ways you can reduce the fear and feel comfortable reaching out to prospects. What you DON’T want to do is immediately use a pitch that sounds like you want to SELL them something. Because when the prospect feels s/he is being pitched during the first few seconds of a cold call s/he begins to think of ways to end the call, or worse . . .
. . . the prospect hangs up, because . . .
. . . we all like to buy but we hate to be sold.. There goes that first impression. 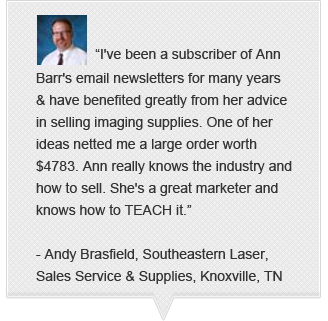 Why use “hard sell” words if – instead – you can grab the prospect’s attention with something of interest to her or him? You can begin building trust in the first call. 1. 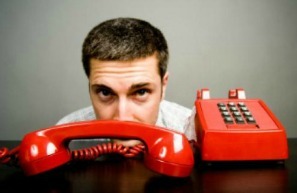 IMPORTANT: Use the first 9 seconds of a cold call to gain trust and build credibility. Be a part of my one-to-one telephone success e-Course starting on Wednesday. Discover specific questions to ask the prospect that will motivate her to think and share important information you need to move forward with the sale. It is a self-paced study training program that shows you step-by-step how to feel more comfortable making outbound calls in a way that’s authentically “you” and irresistible to your prospects. Why do you need this e-Course? Boring and self-promoting wording in a sales call or voice mail message can lead to rejection and is a fully reversible condition. But if left untreated, it can kill your business. With this e-Course you can learn how to write your own scripts that sound genuinely like you and motivate people to want to buy what you sell. 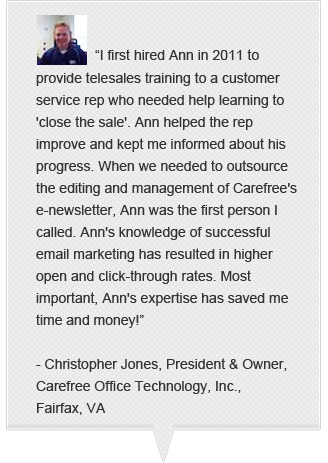 And what makes this e-Course the best online sales training course? Rather than just tell you to “make phone calls,” I actually show you how . . . with our one-to-one phone conversations, fill-in-the-blanks worksheets, brainstorming techniques, and one-of-a-kind workbook exercises. Whether you’re a beginner or polished sales professional, everything you say will become more compelling and effective. As soon as you register, we will schedule a time to talk so you can describe your situation and I will let you know how the course works and answer any questions. Click here to see more about my e-Course and how it can work for you.
. . . BTA member discounts apply for this course.